19:17 The latest attempt to form a coalition government in Greece collapsed and the country is going to new elections, as euinside predicted a week ago. On Wednesday, 16 May, the president will appoint an interim government and elections will take place on 10th or 17th of June, the BBC reported. The medium quotes opinion polls, according to which the left coalition SYRIZA may appear the leading political force in the country. This does not solve the problem of Greece, as the party is a staunch opponent of the bailout from the EU and IMF. A possible termination of the agreement will surely mean a Greek default and eurozone exit ('Grexit', as media call it), which according to current European legislation means leaving the EU too. Experts have advised Brussels to start looking for "loopholes" in order to enable Greece to return to the drachma, but to remain a member of the EU to benefit from the European funds and the prestige of membership. Eurogroup President Jean-Claude Juncker defined the stories about 'Grexit' as "nonsense" and "propaganda" and said the European partners were willing to keep the country in the eurozone. What is the desire of the Greeks, however, remains to be seen in a month. 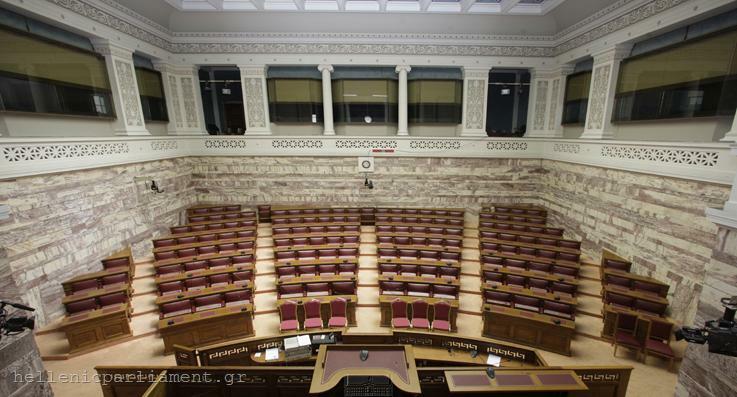 As expected, the first attempt to establish a coalition government in Greece after the elections on 6 May has failed. New Democracy leader Antonis Samaras admitted defeat, explaining that all invited parties either directly refused to participate or set a condition others to participate too, which the New Democracy leader has refused to accept. Yesterday Samaras called for a government of national salvation to renegotiate the bailout programme, while keeping Greece in the euro area. In response, the European Commission made it clear that renegotiation was out of the question. Now a mandate to form a government has the leader of the Radical Left Coalition, Alexis Tsipras, who even wants to reject the bailout. According to Tsipras, Greece does not need that loan because it will lead the country to bankruptcy, which will probably happen either way if the country does not receive the next tranche of the loan in June. But in order to get the trance, Greece has to make additional budget cuts amounting to 11.5 billion euros (for 2013 and 2014), which cannot happen without a government. Tsipras has three days, but the accounts show that even with the support of the Socialists, the Communists and the Democratic Left he will not get the required majority. 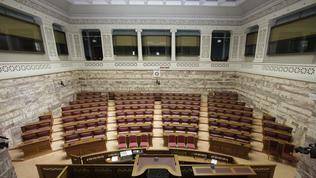 In this case PASOK will be given a mandate. The party leader Evangelos Venizelos said that the government should involve all parties with a pro-European outlook. But given the failed attempt of New Democracy to establish a cabinet, the conservatives will probably refuse the proposal of PASOK. In this sense, the most likely scenario is to go to new elections, the outcome of which is unpredictable, given the vote from May 6. However, the last thing Greece can afford is to waste time, as the reactions of financial markets have eloquently shown. The country has been living from tranche to tranche for two years, but if previously it was possible to get money out of pity, even when it did not meet its commitments, the condition now is ‘first you cut costs and implement reforms and then you get money’. And if the next tranche does not come, the Greek citizens must be prepared to suffer the consequences of their choices. With all due respect, the country was not living from tranche to tranche for two years out of pity, but because the European banking sector was trying to secure itself from the a possible Greek exit from the euro. I do also appreciate the punitive tone of your post - "Greeks citizens must be prepared to suffer the consequences of their choices", we, profligate Greeks need to grow up. It would be useful to read some proper analysis for a change. You journalists, have had more than two years now, to drop the stereotype and dig into the causes of the crisis. Look, I am sorry if I offended you, I agree the issue has many facets but I still find the angle you have taken one-sided and the tone offensive. Well, lets take a look at the causes of the crisis as you suggest. It all started with the trigger point when Greece was exposed with their desire to hide and deceive EU of their dept level thru various complex currency swap agreements with the financial community (Goldman Sachs). Once this became an officially known fact, and EuroStat started to investigate, we learned of many accounting irregularities to the point were it was a criminal act. Not only did Greece not follow standard accounting, they also tried to hide their debt. No other European country has done this.